March is Women’s History Month. Historically, there have been many industries where women haven’t traditionally played a role. Fortunately, roles are changing, and with the use of technology today’s workforce has become more inclusive and dynamic. Throughout history, women have proven their capabilities at every level of business, from employees to entrepreneurs to executives. Today, women aged 25-to-34 have contributed 86 percent of the workforce growth of women aged 25-to-54, and a mere 12.3 percentage points separate the young women and men who have found (or are in the process of finding) employment. This 12.3 points signifies the smallest gap ever recorded for this difference. There are quite a few factors that have likely contributed to this. For instance, more women of this age group have a college degree than their male counterparts. Not only have greater levels of education demonstrated a link to increased employment rates, single-mother households have also increased and have necessitated these young women to work in order to support their families. Furthermore, many industries that have traditionally been populated with female employees, such as health services and education, have added more jobs. Of course, these increases in employment aren’t exclusively coming from industries where women have historically dominated. As of December, 2016, there were 939,000 women working in the construction industry, which makes up approximately 9.1 percent of that industry’s total workforce. However, there is anecdotal evidence that suggests that this percentage is rising. One of these anecdotes is the fact that the industry has historically been one of the slowest adopters of technology, but there has been a recent uptick in tech adoption. This means that more advanced solutions are being more readily adopted by the firms and companies that make up the industry. As a result, not only is it a good litmus test to evaluate a company’s openness to change, the statistically-more-educated women will be in a prime position to take jobs that require the use of technology. As the industry evolves, both in its makeup and reliance on technology, new policies and procedures will develop. 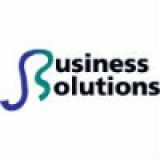 As far as technology is concerned, JS Business Solutions can help with that. If your business is in need of modern and effective solutions to power its operations, reach out to the professionals at JS Business Solutions by calling (781) 715-1900.